Everyone has a corner where herbs can be grown â€“ mint in a cool, damp spot, rosemary in sunshine, basil in a pot on a balcony or on the kitchen windowsill. Here are 10 to grow now from seed or plants. Better a dinner of herbs where love is, than a stalled ox and hatred there with. Basil (Ocimum basilicum) is a tender annual, so in colder areas protect by growing under cloches, in the greenhouse or in a pot in the kitchen, where it helps discourage flies. Sow seed in late spring or early summer. Bay (Laurus nobilis), a hardy Mediterranean tree, can reach 20m, but can be pruned to keep it to 2m. Easily trained as a standard and ideal for large pots, it needs a sunny, well-drained spot. Propagate from seed or cuttings. Chives (Allium schoenoprasum) and garlic chives (A. tuberosum) are members of the onion family, invaluable for salads and sandwiches. Chives can be used as a decorative border to discourage some insect and soil pests. Grow from seed or divide clumps in spring or autumn. Lemon balm (Melissa officinalis) is an easy-to-grow, hardy perennial whose leaves are used mainly for herb tea, although leaves can be added to salads, soups and stuffing. Grow from seed or rooted pieces taken from mature plants. The flowerheads of marjoram can be used decoratively. Marjoram and Oregano (Origanum species) are closely related plants. 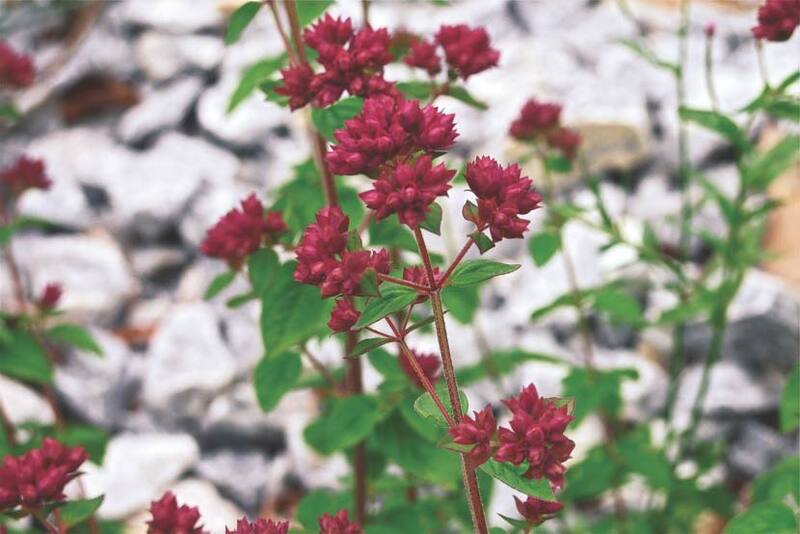 Sweet marjoram (O. marjorana) grows into a small (45cm) bush while oregano (O. vulgare) is a spreading plant with attractive purple flowers in summer. O. vulgare 'Aureum' has golden leaves. Plants can become invasive, so Origanum species are best grown in pots. Grow in a sunny place from rooted pieces or seed sown in spring. Use in stews or other dishes needing intense flavouring. Mint sauce is still a Kiwi favourite with roast lamb. 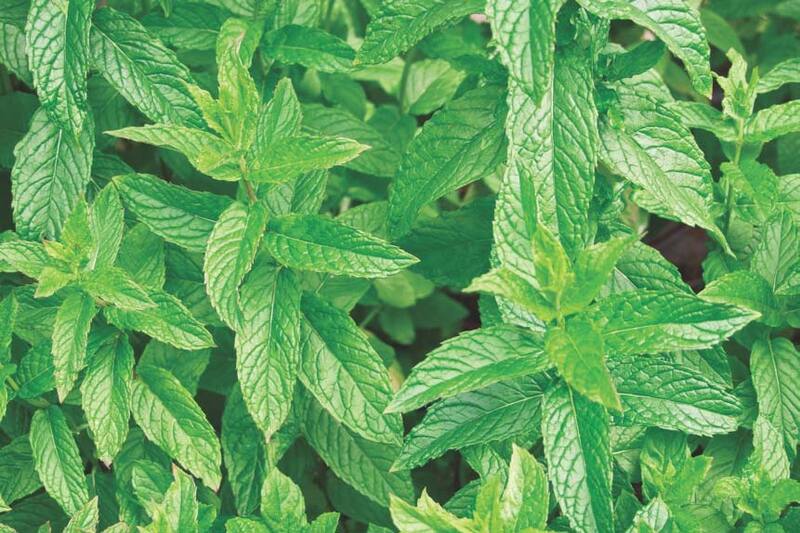 Mint (Mentha species) is usually grown in damp shade but does well in sun, as long as the soil stays moist. Grow from rooted pieces taken in autumn or spring or from spring-sown seed. Grow in containers to prevent spreading as most mints want to take over the garden. Spearmint (M. spicata) is the one to use for mint sauce, while peppermint (M. x piperita) was an old remedy for colds and bronchitis. Pennyroyal (M. pulegium) is poisonous and should not be used medicinally or in cooking. Parsley (Petroselinum species), New Zealand's most-used herb, is a biennial plant with tightly curled or flat leaves. Sow seed in trays in spring and autumn, then transplant into rich, moist, well-drained soil. Parsley tends to attract aphids if plants are stressed from lack of moisture. Rosemary (Rosmarinus officinalis) hales from the Mediterranean, so needs a sunny spot and well-drained soil, making the prostrate varieties ideal for dry banks. It is easily grown from cuttings or you can buy named varieties ('Tuscan Blue', 'Blue Lagoon', pink-flowered 'Remembrance', variegated 'Genges Gold'). There are also white-flowered forms. 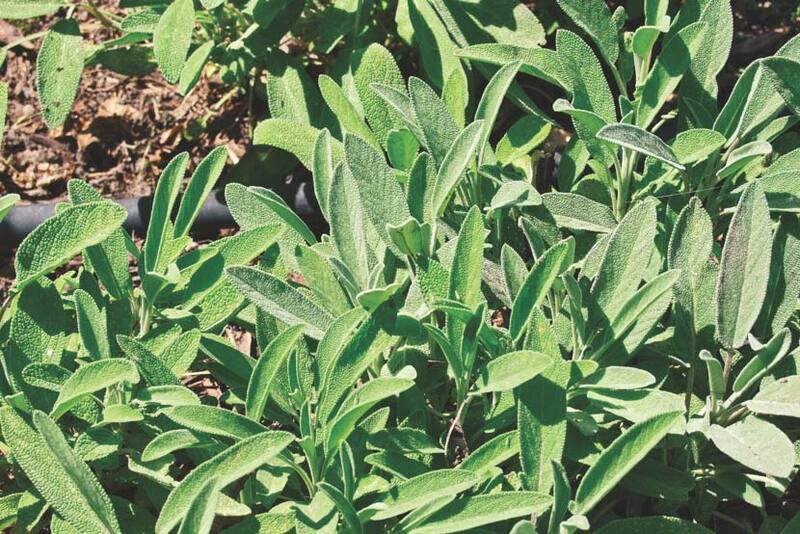 Sage is a traditional herb in poultry stuffings, especially for goose. Sage (Salvia officinalis) does best in sandy soil and full sun. A hardy perennial grown from seed, cuttings or rooted pieces from mature plants, it has variegated and purple-leafed forms, the latter sometimes more difficult to establish. Plants grow to about 80cm and most have decorative purple flowers. Trim bushes after flowering. Thyme (Thymus species) are all edible but the common garden type (Thymus vulgaris) and lemon thyme (T. citriodorus) are best suited to culinary purposes. In spring, divide existing plants or sow seed in fine mix, barely covering the fine seed. Prick out when plants are about 1.5cm tall and grow on in pots, transferring into permanent positions later. T. citriodorus 'Doone Valley' has variegated leaves and a lemony flavour.